Texas A&M International University (TAMIU) has been ranked 16thamong Top Public Schools, Regional Universities West, in the 2019 U.S. News and World Report’s Best Colleges ranking. That makes TAMIU the highest ranked regional Texas institution in the 15-state ranking’s Top 20 and the only A&M campus in the ranking. Some 37 campuses were surveyed. Last year, TAMIU ranked 20th. The Reportoffers additional impressive rankings for TAMIU. TAMIU is the highest ranked Best Value School of Regional Universities West, earning a rank of 50. The only other Texas campus ranked was University of Houston-Clear Lake at 58. In the category Best Regional Universities West, TAMIU rose from last year’s ranking of 70 to 59 -- becoming the highest ranked public regional university in Texas and the highest of The Texas A&M University System’s regional campuses. Some 140 campuses were surveyed. The Report notes that regional Universities offer a full range of undergraduate programs and some master's programs, and a few doctoral programs. 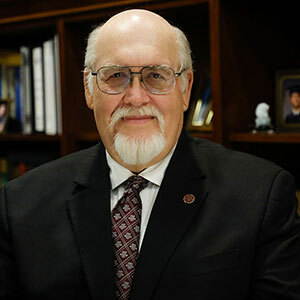 TAMIU president Dr. Pablo Arenaz said the University’s rise in the rankings is impressive. “We are talking about TAMIU competing with private and public school universities from across a 15-state survey group of Western institutions. In the Best Value School Regional Universities West ranking of 50, 90% of the school’s ranked higher are private. Clearly, our substantial rise in the rankings is a strong reflection of our delivery on our mission, the competitive quality of our programs, the comparable low cost and the value we add to our graduates’ lives,” Dr. Arenaz said. Arenaz said rankings are traditionally one of the research steps potential students and their parents take as they begin their path to selecting an institution of higher education. “We’re very pleased to figure strongly in this and other rankings, as these can be first research steps students and their parents undertake. We also suggest potential students augment these efforts by visiting TAMIU or other campuses, where they can meet with faculty and students, and find out about support systems are in place,” Dr. Arenaz said. The U.S. News and World Report notes that public schools like TAMIU offer discounted tuition to state residents and provide experiences ranging from the liberal arts to research capabilities. The ranking notes TAMIU’s student faculty ratio, 22:1; 60% female student population, average age of full time students as 21, campus services and safety, among other indicators. The U.S. News ranking system is based on several key measures of quality, including graduation and retention rates, assessment of excellence, faculty resources, student selectivity, financial resources, graduation rate performance and alumni giving. Dr. Arenaz credited the University’s students and faculty for the elevation in rankings. “We have truly amazing, committed students. They are led by a gifted faculty. Together, they are on a journey focused on student accomplishment and excellence. We’re all committed to ‘Go Beyond,’ ” Dr. Arenaz concluded. Late last month TAMIU also placed in a national Top Ten ranking among Southern Colleges in Washington Monthly Magazine’s 2018 College Guide for the third year in a row. TAMIU ranked 9th. For additional information, contact the TAMIU Office of Public Relations, Marketing and Information Services at 956.326.2180, email prmis@tamiu.edu, click on tamiu.edu or visit offices in the Sue and Radcliffe Killam Library, Suite 268.